If you love to cook, and love to visit farmers markets, I’m sure you’ve found yourself in this predicament, as I did last week: My beloved farmer told me she had extra scapes, so, with my usual bravado, I said, “I’ll take anything you want to give me.” And took home a huge bagful of them. Several days passed, and still that bag sat in the fridge, untouched, the scapes beginning to sweat and yellow around their tips, the bag itself obscuring the essential items behind them (where are those pickles?). I had to do something, and fast. 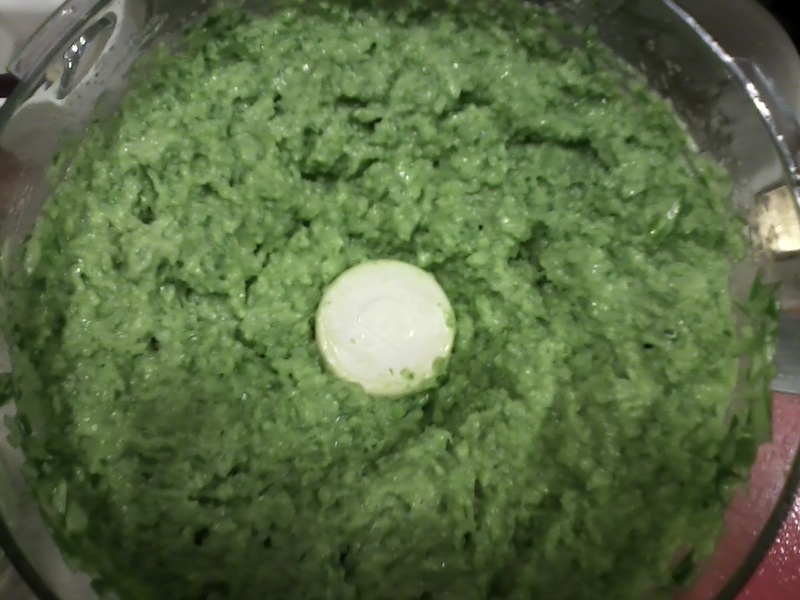 Here’s the fastest thing I like to do with scapes: Toss them in the food processor with enough oil to emulsify the whole thing into a bright green paste, even with a little salt, if you like. Voila! You have a flavorful start to any dish that you might use garlic for. I sweated a dollop of it in a saute pan that night, before I added white wine and clams, for our evening linguine. The rest I spooned into ice cube trays to freeze up, so that we can even get a taste of summer in the fall months. They’re a little tough to work out of the ice cube trays, but just shove a butter knife in there and they’ll all release—and you’ll have royally moisturized, if garlicky, hands, when you’re all done bagging them up.